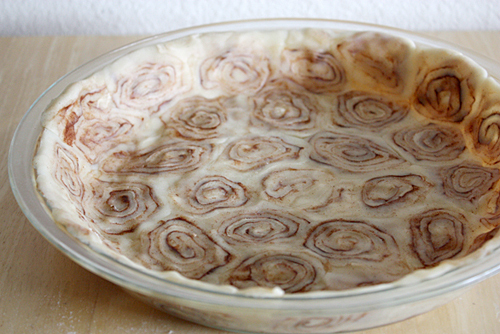 We don't usually make sweet potato pie for Thanksgiving, and I don't think we are going to make it this year either, but we might have to find another one of our pies to use this cinnamon roll pie crust with. It would probably work perfectly with a chocolate cream pie, a pumpkin pie, or just about any pie. Who are we kidding! You can get the recipe for the sweet potato pie with cinnamon roll pie crust over at Taste for Adventure.